well, i must have been a bit inspired by all the gorgeous kids clothing showing up due to the kids clothes week challenge, i just had to add a couple more things to my week (and excuse the fairly terrible lighting in photos). 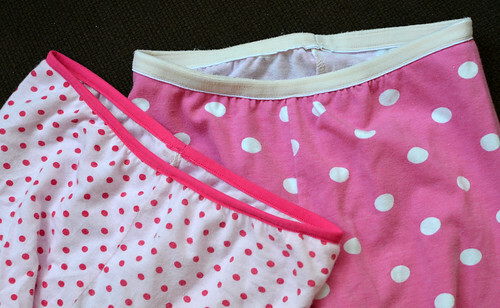 two pairs of pjs for mae. i used the cinnamon leggings pattern from ottobre 01/2011 and cut a size larger than she wears to make these a bit roomy and comfy. 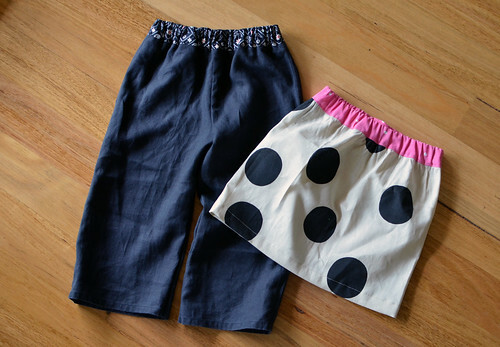 i think knits are such a great option for pjs, these were super quick to make, especially as the pair on the right was made from a barely used night dress so i used the existing hem and the other pair i left the bottoms unhemmed, plus i used foldover elastic for the waistband. i remembered amy karol blogging about foldover elastic a couple of years ago and how it was pretty much the greatest invention ever. 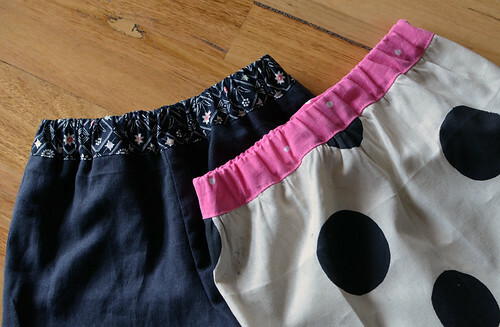 i had some in my stash (bought on etsy) and i have to concur, it really is so easy, i shall never make leggings (or legging pjs) without it again. a quick skirt for mae, based on my diy skirt kit design but i used an offcut so the skirt isn't quite as full as it should be and WAIT A MINUTE... something for SOPHIE???? 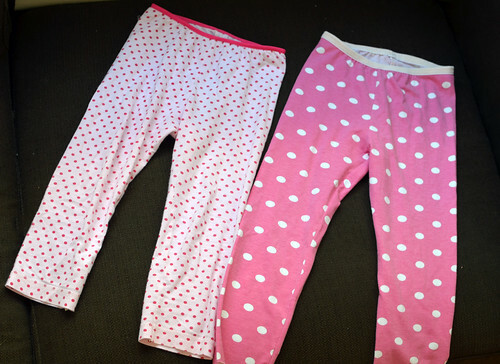 unbelievable, the poor second kid who never gets to show her face on my blog because i never sew her stuff because she has a mountain of clothes already finally gets a pair of pants! lovely linen pants that are miles too big and so she still doesn't get to show her face. 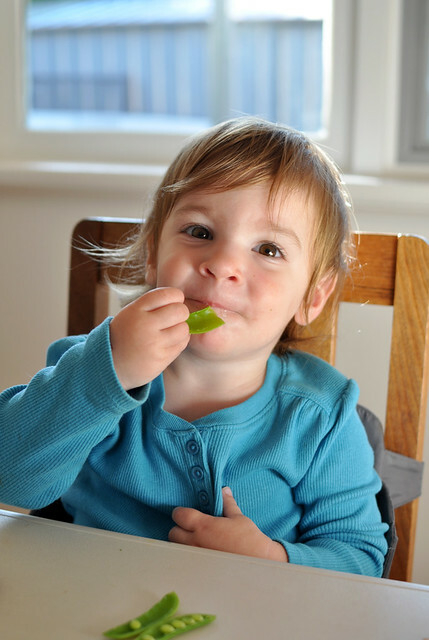 Where do you get your edamame? Is that what Miss Impossibly Cute is eating? nope, just sugar snap peas! i wish i could find edamame fresh here. they do have it frozen in big packs at costco but i haven't been brave enough to try it yet. So cute looks really gorgeous.